CHICAGO (WLS) -- If Al Capone is forever the criminal face of Chicago, the Flores brothers are the face of Chicago's illicit drug trade. Conservatively, federal investigators say that Pedro and Margarito Flores distributed 1,500 kilos of cocaine every month... for years. They made a personal fortune and the drug cartels banked a large fortune because of them. "This is an almost incomprehensible quantity of cocaine to be distributed in Chicago and other communities throughout the United States, with resulting harm that is incalculable, but without question horrific," said prosecutors in their sentencing memorandum filed Wednesday night with the district court. the cartels to distribute drugs hundreds of kilos at a time with substantially reduced risk," the government is asking for a relatively light sentence because they cooperated. When the Flores brothers are sentenced on January 27 in Chicago, prosecutors will ask Chief District Judge Ruben Castillo to consider sentencing them to the low end of a previously agreed-upon 10 to 16 years in prison. Prosecutors admit that based solely on their offenses, they deserve life behind bars. In a 25-page court filing, the government provides rich detail as to why the Flores' should be given special consideration. 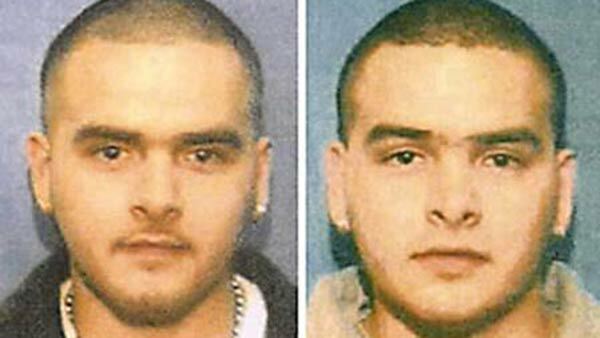 Since they voluntarily "broke away" from the Sinaloa drug cartel, began cooperating with American authorities and surrendered in 2008, the Flores twins have amassed an historic record of notches in the prosecution's "War on Drugs." -Based largely on their evidence, more than 50 cases have been brought against major cartel operatives, including Mexico's most notorious drug lord Joaquin "El Chapo" Guzman. -They made more than 70 covert recordings of conversations with many top Mexican drug operatives, including two with "El Chapo" himself. -Multi-kilos of illegal drugs were intercepted before they could be sold on the streets. -Hundreds of millions of dollars was seized from the cartel pipeline. "Absent their cooperation, the government would argue life imprisonment is the appropriate sentence for these defendants. However, they are not being sentenced absent cooperation," prosecutors wrote in their sentencing memo. According to authorities, "the Flores workers were collectively responsible for the distribution of ton quantities of cocaine and the laundering of more than $1 billion through the course of the conspiracy. In addition, the Flores brothers' cooperation spurred many of the workers to cooperate as well. These workers had dealt directly with customers and cartel couriers, and the cooperating workers' testimony was invaluable in securing convictions against these defendants. As such, the Flores brothers should also receive credit for causing this cooperation to occur where it is likely that it would not have otherwise, at least in as timely a fashion and on the same scale as the mass cooperation that followed the disclosure of the Flores brothers' cooperation to the workers." After the brothers decided to cooperate or "flip," within a few hours a DEA extraction team got them out of Mexico, where they left behind a lavish lifestyle of big houses and luxury cars. They were given the highest level of witness protection, away from Chicago, at a still-undisclosed location. Authorities say that they continue to provide information to agents and are ready to testify when called. Many of the cartel figures that they turned on and turned in have already pleaded guilty, so no live courtroom testimony has been required. But the big fish still hanging on the government's hook is El Chapo Guzman. Since he was arrested in Mexico nearly a year ago, the drug lord has been held in Mexico-despite several pending indictments naming him in Chicago and other U.S. cities. Justice Department officials haven't decided which jurisdiction should have dibs on El Chapo, but the Flores filing in Chicago on Wednesday offers solid reasoning why it should be Chicago. In one of the two undercover recordings made by the Flores' the top cartel boss El Chapo is heard to acknowledge the existence of the conspiracy. "These recordings...form the basis of a strong case against Chapo," prosecutors wrote. The arrangement with the twins was not completely rosy however. At one point while working for the government, Pedro and Margarito Flores kept something from federal agents: the arrival into Chicago of 276 kilos of cocaine. "The fact that the Flores brothers caused such a vast quantity of cocaine to be distributed, rather than seized by the government, during the pendency of their cooperation certainly offsets some of the positive results they otherwise achieved. When asked by the government why they initially failed to report this cocaine, the Flores brothers stated that they needed the money from this load to avoid the danger of falling too far behind in their payments to the Cartel," investigators said. The twins also paid a personal price for their turning state's evidence: their father's life. "Against the direct admonishment of the government not to do so, the Flores brothers' father reentered Mexico in 2009 after the government facilitated his entry into the United States for his own protection. Within days, the father was kidnapped and presumed killed. A note left at the scene of the kidnapping made explicit that the father was taken as a direct consequence of the Flores brothers' cooperation." And as long as they live, The Flores' will continue to be witnesses, "their lives in danger of being killed in retribution. They are essentially surrounded on all sides by some of the most violent actors in the criminal sphere. The barbarism of the cartels is legend, with a special place reserved for those who cooperate. Having cooperated against not only the leadership of the cartels, but also their sons, family members, and closest associates, the Flores brothers would in all likelihood be killed absent their protection from the government. "